3. 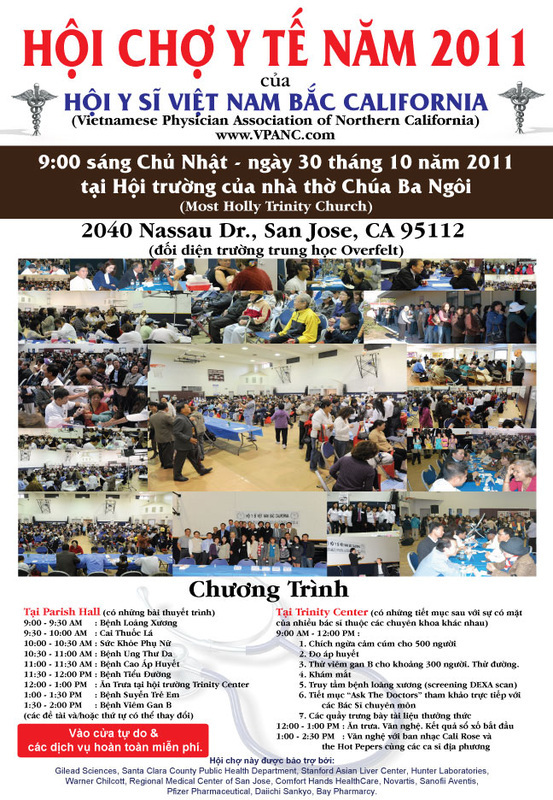 Thử viêm gan B cho khoảng 300 người. Gilead Sciences, Santa Clara County Public Health Department, Standford Liver Center,Hunter Laboratory, Warner Chilcott, Regional Medical Center of San Jose, Comfort Hands HealthCare, Novartis, Sanofi Aventis, Breathe California, Daiichi Sankyo, Bay Pharmacy.